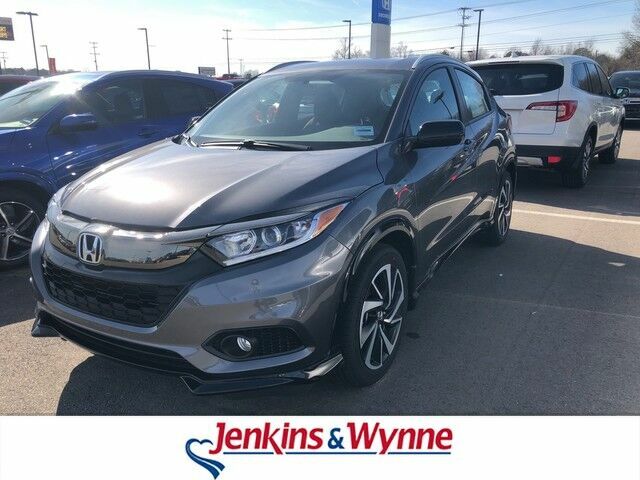 This outstanding example of a 2019 Honda HR-V Sport is offered by Jenkins & Wynne. Want more room? Want more style? This Honda HR-V is the vehicle for you. Save money at the pump with this fuel-sipping Honda HR-V. You've found the one you've been looking for. Your dream car. Just what you've been looking for. With quality in mind, this vehicle is the perfect addition to take home. Although every reasonable effort has been made to ensure the accuracy of the information contained on this window sticker, absolute accuracy cannot be guaranteed. Vehicle information is based off standard equipment and may vary from vehicle to vehicle. The prices are subject to change. Price does not include applicable tax, title, license, and doc fee.